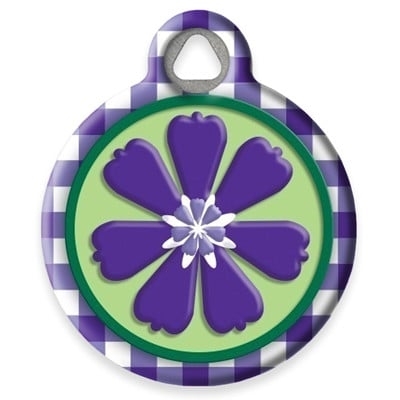 Dog Tag Art pet tags designed in all of Lupine's pattern to match your pets Lupine outfit. The dog tags are made in the USA of a recycled steel core and coated with a special coating that fuses the colorful graphics permanently to the pet tag. 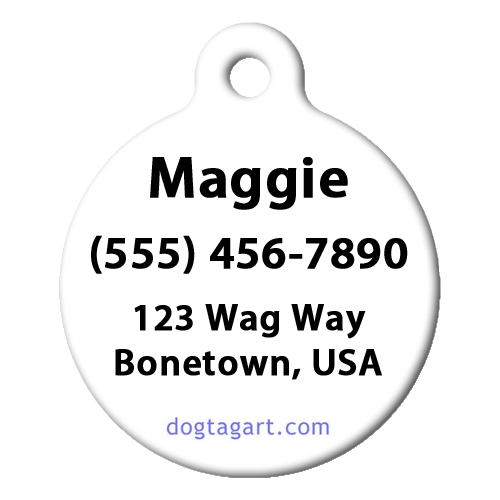 Each tag comes with a sturdy metal split keyring for attaching to the collar. The large dog tag is 1 1/4 inches (3.18 cm) and the small is 7/8 inches (2.2 cm) in diameter. All are guaranteed to never wear out or we replace them for free. Designs are copyrighted (c) by the artist and Dog Tag Art. All rights reserved.